With the advent of the Mac App Store (s aapl), it seems arcane to think that software is still being distributed on disc. But even if you buy into digital distribution completely, what about all of your existing installation and data discs? What’s a good way to preserve the disc and its contents? Create an image of your disc on your hard drive, that’s how. Every time you enter a disc into your SuperDrive, it gets mounted to the big directory structure that makes up your computer. We use the term mount because we used to physically mount spools of magnetic tape onto devices that were accessed by computers. 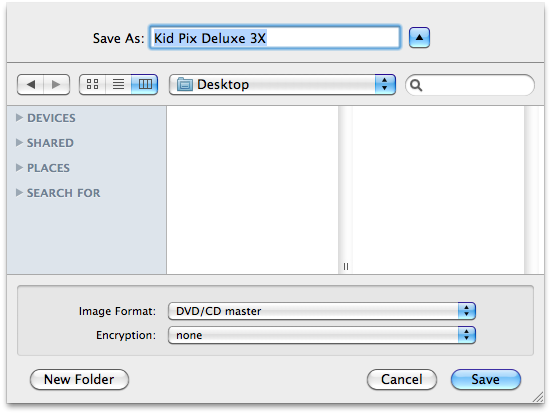 Once mounted, the user can then delve into that particular disc’s file structure and access its content via the Finder. The same concept holds true for .dmg (or Disk Image) files. 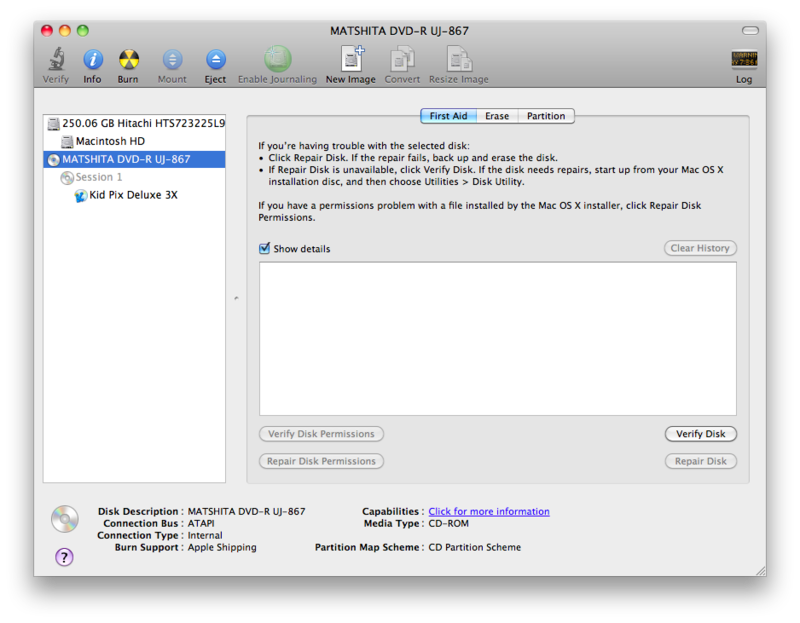 Apple’s Disk Utility has the ability to mount and unmount these devices as well as format, erase and copy file structures. It’s therefore possible to create a an image or copy of any CD or DVD. This resulting image file works just like the .dmg files you often download from the Internet and use to install third-party applications, like Firefox and Skype. In fact, if you open a .dmg file and then type the command ‘mount’ in the terminal, you will see that the operating system is looking at the .dmg file in exactly the same way it looks at discs you load using the SuperDrive. 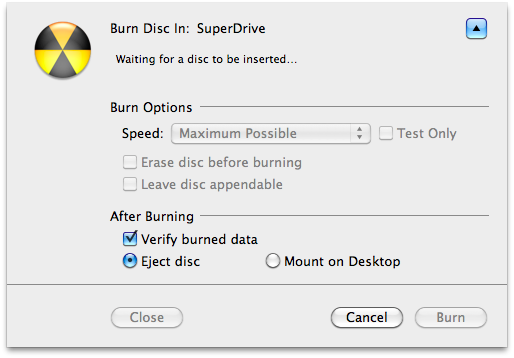 Disk Utility will burn the disk image from the hard drive to the optical disc. Again, this only works for data discs, not music CDs or movie DVDs, but it should help you get started on de-cluttering your physical media collection.